Newly dyed silk chiffon scarves for Dingle Market on Friday. Despite my best resolutions to blog more often, it seems like I am just not getting there. On June 10th a very dear friend died and it has taken the wind out of my sails, more than I thought it would. We dated off and on for two years, but were good friends before and after we discovered it just wasn't working. He could really annoy me, but he also gave me very sound advice and was a friend to both myself and my son (I often thought he cared about Fionn far more than me) when few around the area even wanted to know our names. He died of cancer with his family around him, thankfully, and on a picture-perfect, blue sky day. He didn't want people to know he was as sick as he was, so the final goodbye seems to come suddenly, even though we all knew his colour was bad and that he had gotten quite thin. When they shouldered him out of the church after Mass, it was the slightness of the coffin that broke my heart--he always seemed larger-than-life and he had been reduced to half the man. I am feeling a bit better now, but my heart does go out to his children. He loved them so and they must feel lost without him. I am throwing myself into projects now since I just can't be sad forever. God knows he wouldn't like that anyway. I need to change my stock over. 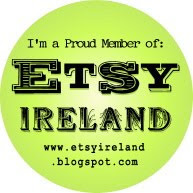 What I have made hasn't been selling at Dingle Market, so I want to change things up and put fresh stuff out. If items don't start selling at the market, then I will have to look at other options. I need to make some money out of the stock I have invested in!! Hand-dyed silk chiffon scarf with hand-dyed silk and Merino felted into it. New hat made with Alpaca and Merino wool and trimmed with recycled sari silk. Not much more for now. Lots going on and not enough time to do it in! Garden gone to pot since I am in the studio all the time, so must spend a bit more time making it look lived in. I did plant marigolds and sweet peas yesterday and started the very late pumpkin seedlings in pots to transplant later. Not sure if they will work out, but we seem to be getting the heat this summer so it's worth a shot! Its difficult to be creative when we lose someone close. Sympathy to you and it sgood to see you getting down to some work to help you out of it. Me again..the climbing hydrangea you asked about was in the garden when we moved here 25 years ago so as its never had a trim in all that time I think you could say its quite slow growing!